What Was Toughest Accounting Task You Had to Solve? Sample Answers. If you talked about a task that you eventually failed to solve, it would create a bad picture about your accounting skills in their eyes. You should always talk about the problem that you managed to solve at the end. Whether it really was the most difficult one you have ever encountered doesn’t matter. No experience with difficult tasks? If you have no experience, you can research for “difficult accounting problems” on Google. You will find some problems that can serve as an inspiration for your interview answer. Note: In my Interview Guide for Accounting Job Applicants, you will find tough accounting tasks with solutions, perfect for your interview answers. I have no experience with tough accounting tasks. I have managed to address every problem at school. However, if there was a difficult task, I would consult one of my senior colleagues, or I would look for the solution on the internet. 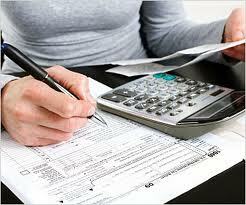 I am a member of some accounting forums where I can consult experienced accountants. I have already used their help a few times. Do you possess any knowledge of accounting standards?